A couple weeks ago I asked on my Facebook Page if anyone had any requests... and one fan asked if I'd create something specific to quilting late at night. 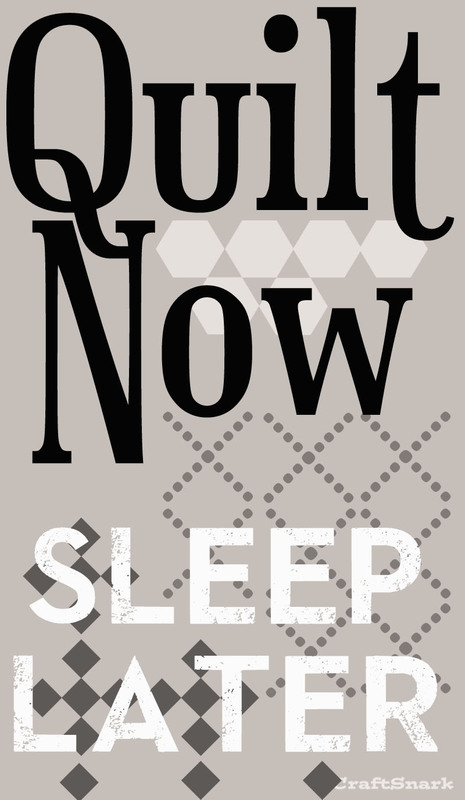 I have been doing a lot of late-night quilting myself... so I created this little image for those of us who meet the wee hours of the morning, still behind our sewing machines. I may come up with something more snarky another day, but after pulling yet another late night quilting session, I fear all the feistyness has been drained out of me! For those of you who are die-hard quilters, I know you've been there. And for anyone who is passionate about your craft, we quilters know that you understand where we are coming from! Hello! I've been reading your weblog for a while now and finally got the bravery to go ahead and give you a shout out from Porter Tx! Just wanted to tell you keep up the good job!